Enter your email address to let your friends know who recommended the page to them. Please note, your information will not be captured by Janssen Australia. (Your name) thought you would like to see this page[ ] from the Janssen Australia website. 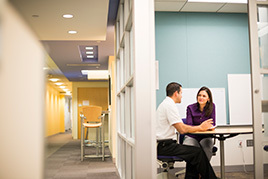 At Janssen innovation isn’t just confined to the lab. It’s part of everything we do. No matter where you work or what your role, you’re encouraged to find new ways of looking at challenges. We leave preconceived ideas at the door and discover solutions that make all the difference. When you join Janssen you’re helping to bring innovative healthcare solutions to life. The sort of solutions that can transform patients’ lives. Working in a creative, cross-functional team, you’re not just advancing your career; you’re advancing the health and well-being of all Australians. For general applications search for requisition number GA.
As a Johnson & Johnson company, we’re part of a global network that touches the lives of more than a billion people every day. We’re part of people’s daily routines. People’s health care solutions. And their medical needs. For more than 125 years we’ve been inspired to make a difference. Learn more about our business and understand the Johnson & Johnson culture by visiting our Australian careers or New Zealand career site. We are only as good as the people we hire. Which is why recruiting is one of the most important things we do. If you’d like to know how we go about it click here. The Johnson & Johnson Family of Companies engage all temporary/contract employees from external vendors via the ‘WORKSENSE™ Program.’ This is managed by the Kelly Outsourcing and Consulting Group (KellyOCG). For enquiries, please email [email protected]. You are about to leave Janssen Australia site. Click Yes to continue, No to stay on this page. © Janssen-Cilag Pty Limited 2019. The Janssen Australia website is published by Janssen-Cilag Pty Limited (Janssen), which is solely responsible for its content. The Janssen Australia website is intended for an Australian audience. Last Updated: April 12, 2019.